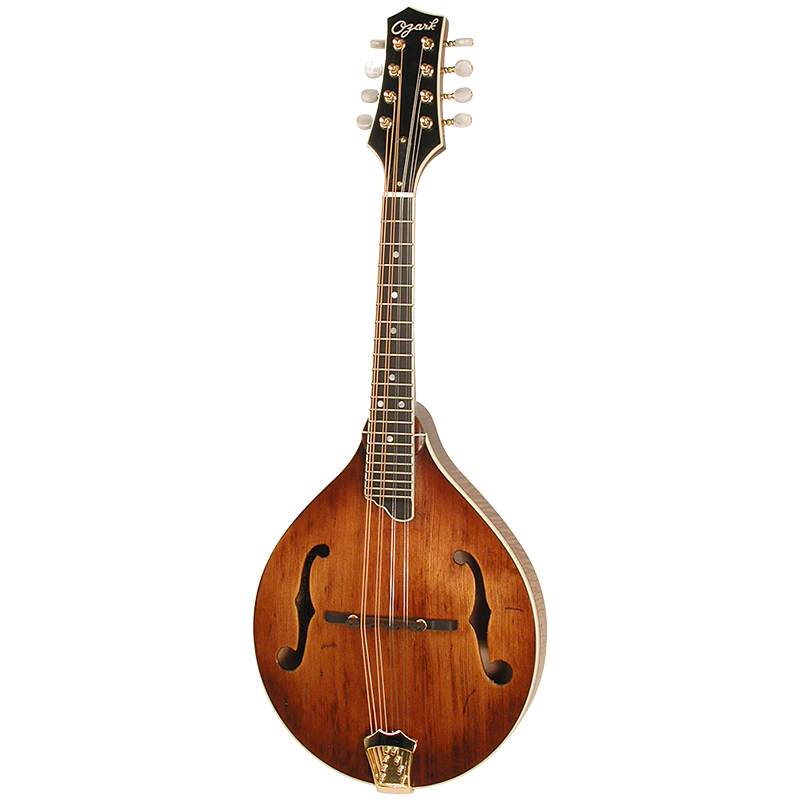 This Ozark 'A' model is a high quality mandolin with all solid construction in a vintage style finish. The hand carved solid spruce top and solid mahogany back and sides provide excellent tone and projection. Its distressed, antiqued finish appeals to players looking for a more 'lived-in' feel to their instrument. This reliable A model mandolin is fitted with an adjustable ebony bridge and quality gold plated machineheads as well as a diecast tailpiece.